Everybody loves a picnic, so why not make it an educational event? Head to your local bookstore with your student and have them choose a book to read. Buy two copies so that you can both read it together at the park as you enjoy a picnic. As you each read a chapter, stop to talk about the storyline, what you think will happen, and how you think it will end. You can even make small bets about what will happen next in the book. Reward each correct guess with a small treat! 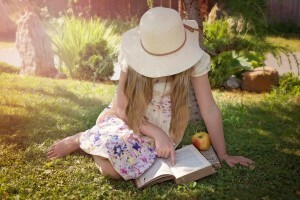 If your student loves their reading picnics then why not also try out writing picnics? After you have finished reading, both of you take out pen and paper and write a short story about one of the characters in the book. For example, if you both enjoyed a character in the book you read, consider writing a short story about where they came from or make up a story about one of their adventures not mentioned in the book. If your youngster is struggling with their reading or writing, tutoring can help. Speak with The Tutoring Center, Rosenberg TX at (832) 363-7873 today to learn more about the benefits of tutoring and to book your free initial diagnostic assessment.